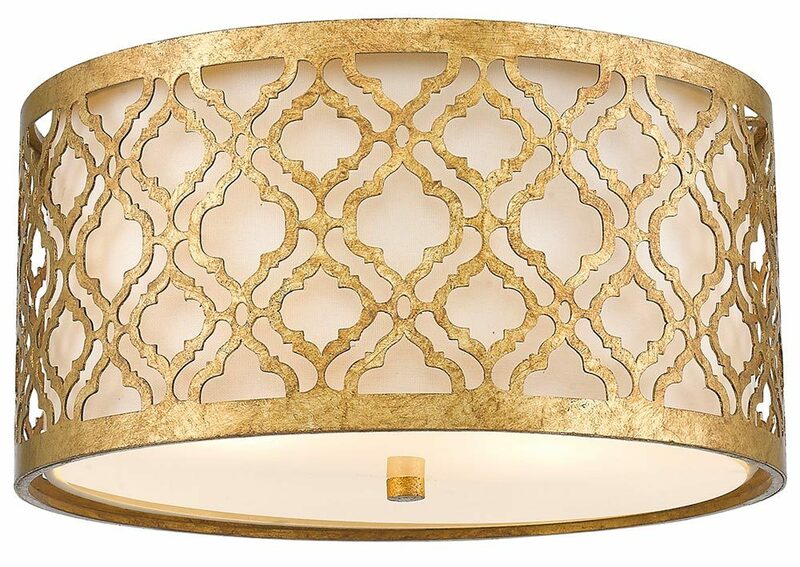 This Gilded Nola Arabella 2 light flush mount ceiling light in distressed gold finish features New Orleans style. Concealed mount and 41cm drum shade constructed from distressed gold precision cut metal, with inner cream fabric shade that softens the light beautifully. The frame features a geometric pattern and is fitted with a lower glass diffuser for a warm, mellow light. The Arabella collection has a beautiful Distressed Gold metal outer shade with a Cream linen fabric shade and glass diffuser to soften the light. The pendants are duo-mount to semi-flush fittings which allows the rod stem to be shortened to accommodate rooms with low ceilings. The half moon wall sconces are great for compact rooms and corridors. This range is ideal for retrofit LED lamps. A wonderfully extrovert flush mount that makes a lavish statement. Ideal lighting for any room in your home and particularly suited to bedrooms, living areas, dining rooms, hallways and kitchens with a low ceiling. There are matching fittings in the Arabella lighting range in distressed gold finish; please see below. This sophisticated light is designed in the USA by Gilded Nola. 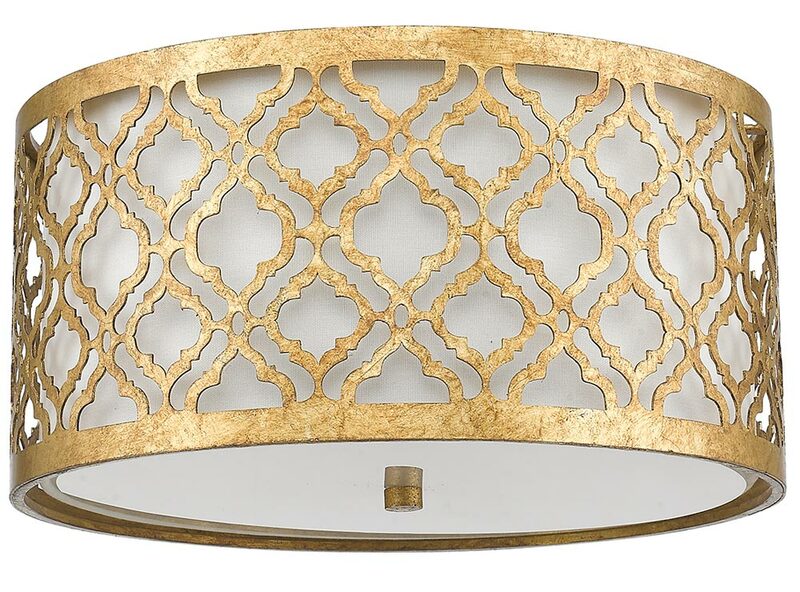 They are inspired by the decorative elements of New Orleans and are famous for their abundance of unique styles such as the Arabella 2 light flush mount ceiling light in distressed gold finish you see here.